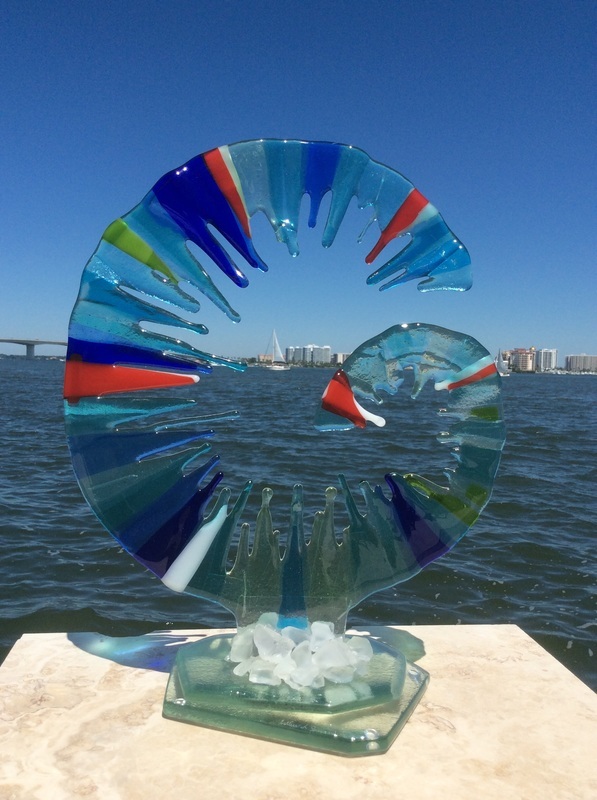 S6 "WAVE" Fused and slumped glass sculpture mounted on a glass base with washed glass rocks. 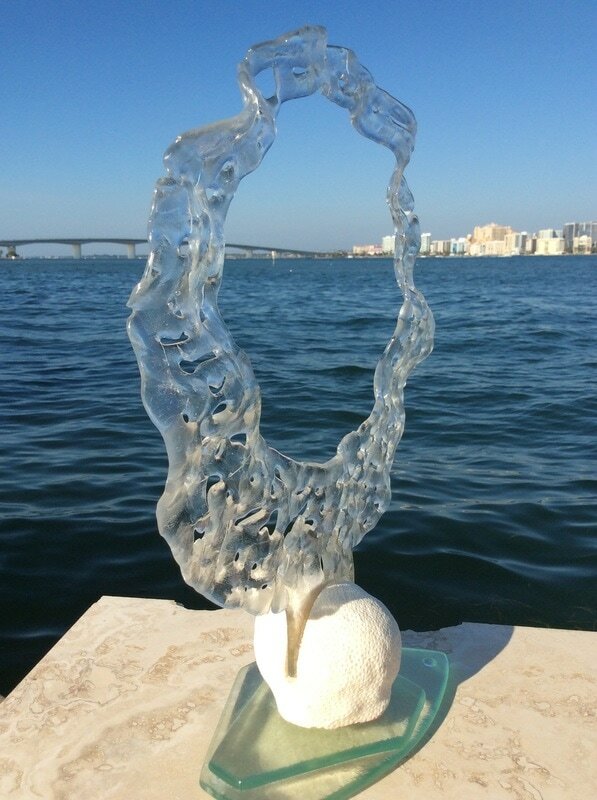 S7 "WAVE 2" Fused and slumped glass sculpture mounted on a glass base with washed glass rocks. S9 "SERPENT" This delightful twirl of gala is fused and slumped to hold 3 small flowers. Perfect as a centerpiece or just by itself. I make these pieces of art one at a time over a 48 hour period, and slight variations may be expected from one piece to the next. S11 "SERPENT" This delightful twirl of gala is fused and slumped to hold 3 small flowers. Perfect as a centerpiece or just by itself. I make these pieces of art one at a time over a 48 hour period, and slight variations may be expected from one piece to the next. 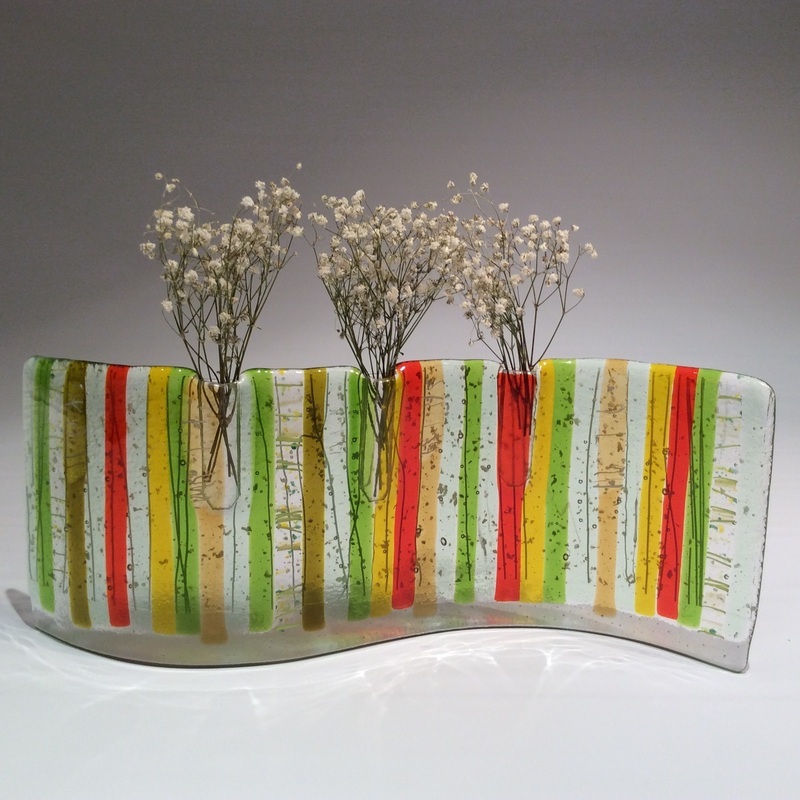 S15 "Cityscapes" Changing skylines inspired this tall fused glass structure. 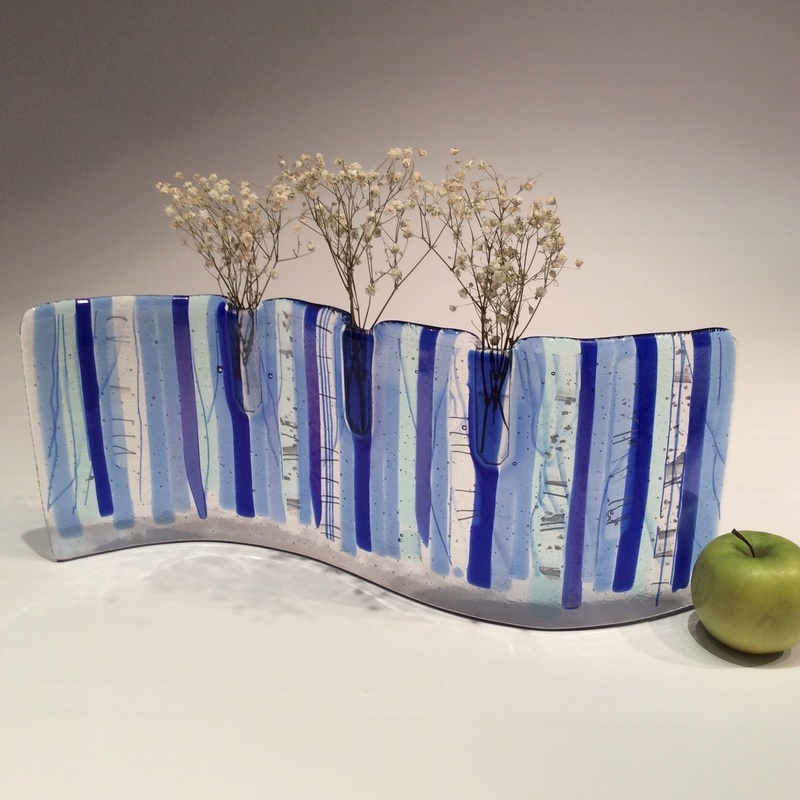 Mounted on a half inch thick slab of clear glass it stands 18" tall. Color: Clear, white and aqua glass. 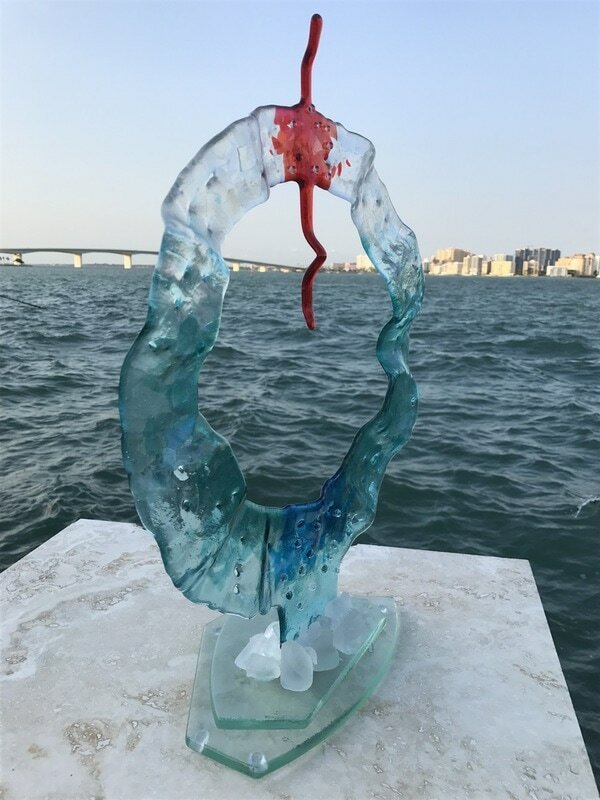 ,S18 "Circle" Fused glass sculpture in clear glass, mounted in a piece of coral on a heavy clear glass base. S2 19"w x 18"h "Sold"
S4 "CORAL" sculpture, white glass, fused and slumped and mounted on glass/coral/driftwood. S5 "SERPENT" This delightful twirl of gala is fused and slumped to hold 3 small flowers. Perfect as a centerpiece or just by itself. I make these pieces of art one at a time over a 48 hour period, and slight variations may be expected from one piece to the next. S10 "SERPENT" This delightful twirl of gala is fused and slumped to hold 3 small flowers. Perfect as a centerpiece or just by itself. I make these pieces of art one at a time over a 48 hour period, and slight variations may be expected from one piece to the next. S12 "SERPENT" This delightful twirl of gala is fused and slumped to hold 3 small flowers. Perfect as a centerpiece or just by itself. I make these pieces of art one at a time over a 48 hour period, and slight variations may be expected from one piece to the next. S14 "Sunset" Florida sunsets inspired this sculpture. 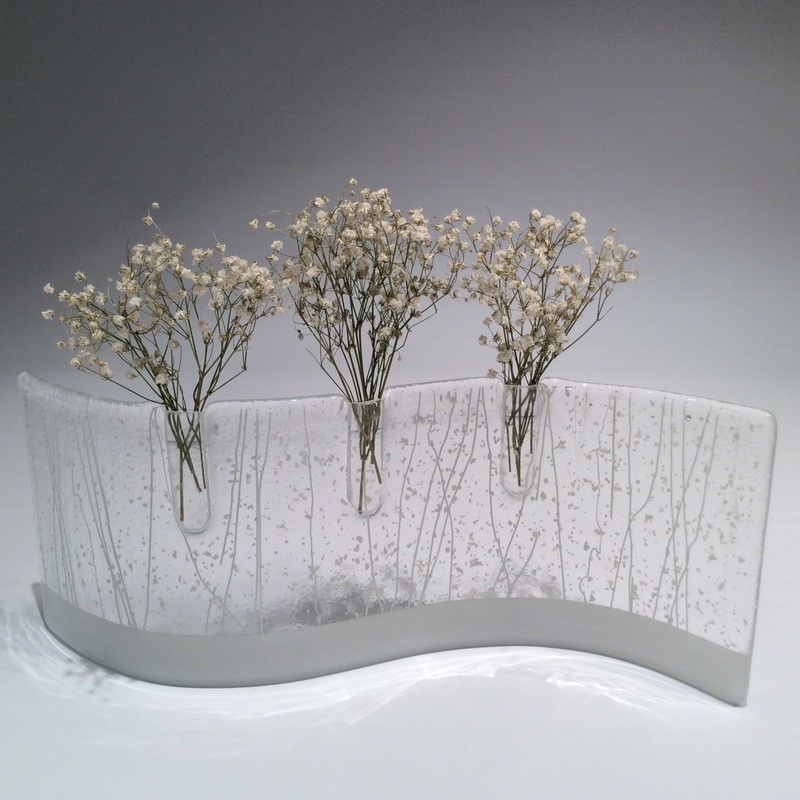 Mounted on a thick slab of clear glass it stands 18" tall. Color: Clear, red and aqua glass. 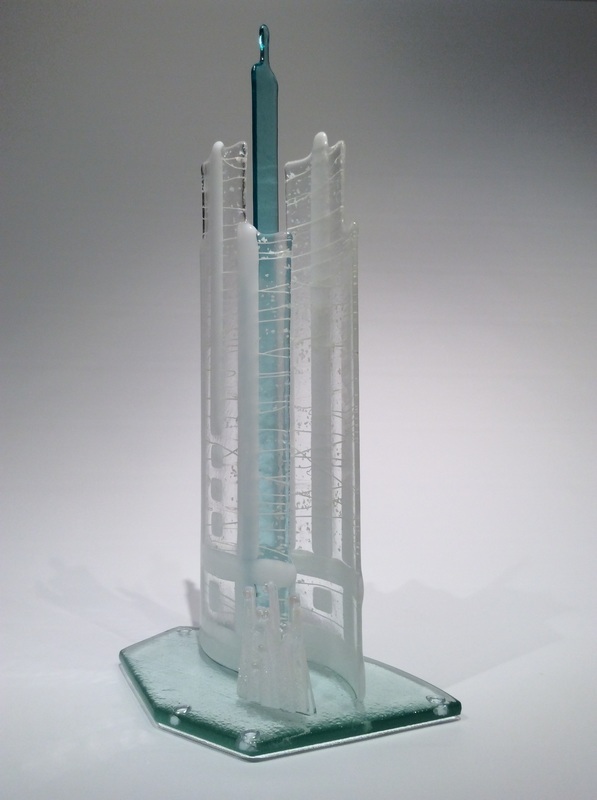 S16 "Cityscapes" Changing skylines inspired this tall fused glass structure. 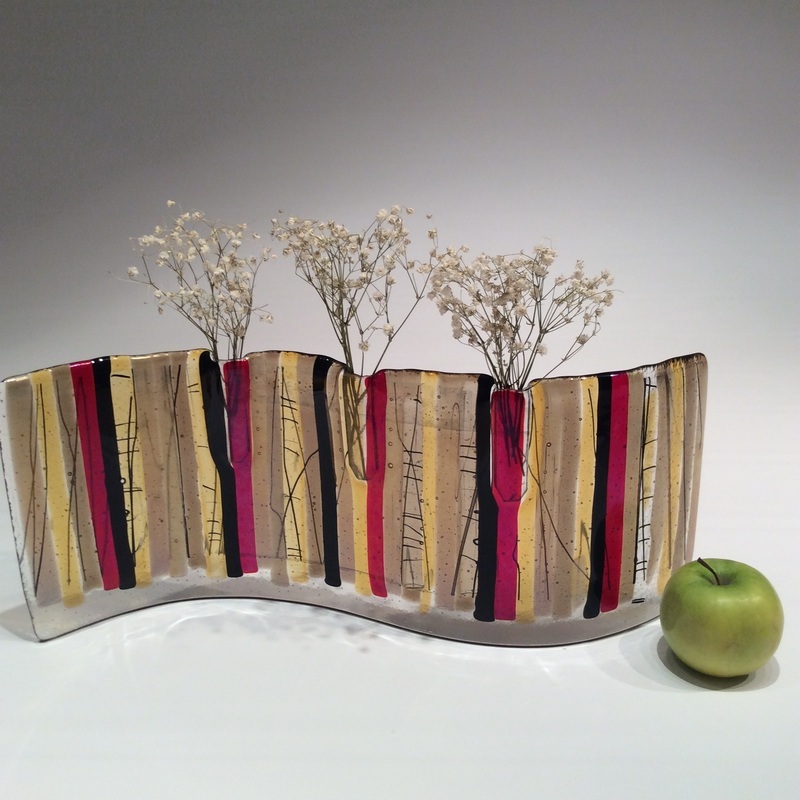 Mounted on a half inch thick slab of clear glass it stands 18" tall. S17 "Cityscapes" Changing skylines inspired this tall fused glass structure. 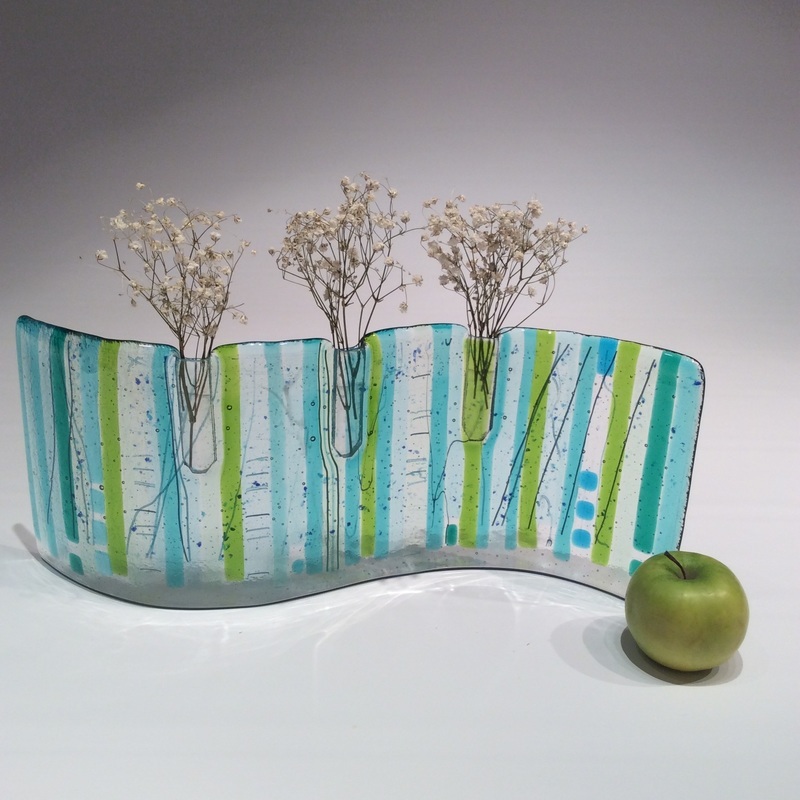 Mounted on a half inch thick slab of clear glass it stands 18" tall. Color: Clear, white, blue and aqua glass.